November will soon be here and with that comes Veterans Day. We are asking all of our families to send pictures of their family members that have severed or are currently serving our country for a slideshow. 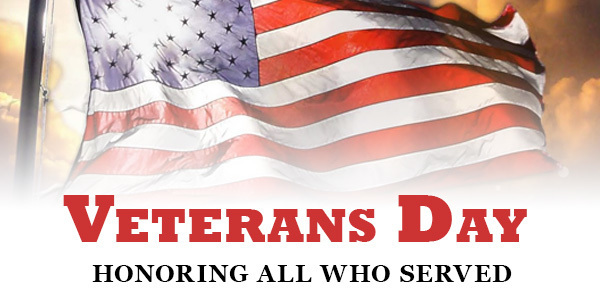 The Slideshow will be shown at the Veteran's Day Assembly on November 10th, Mr. Lee Johnson will be putting together the slideshow and prefers that the pictures be sent to him through email at ljohnson@junctionhill.k12.mo.us . Mr Johnson will need to know who is in the picture, whose relative it is, what branch they served in and how long. If you sent picketers last year you do not need to send them again. In order for us to have enough time to prepare the slideshow for the assembly we need to have the pictures emailed by Friday, November 3rd. Thank you in helping make the 2017 Junction Hill Veteran's Day assembly a success.